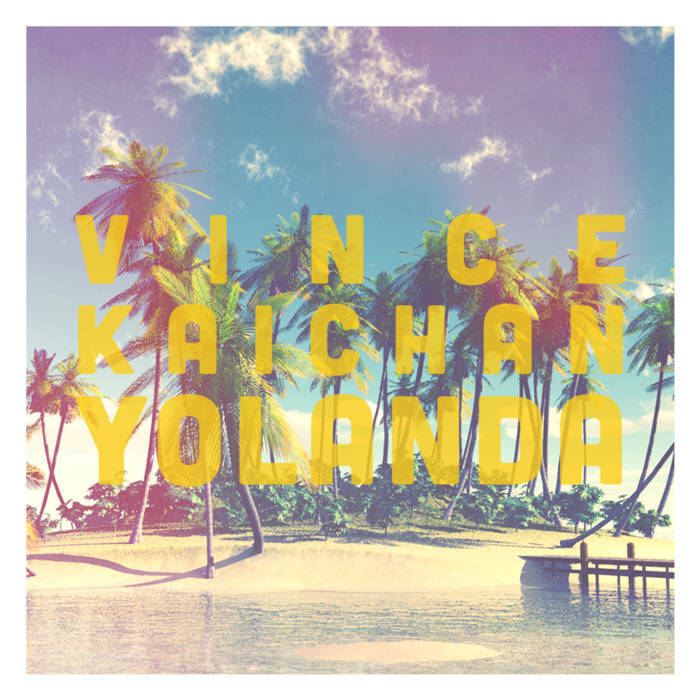 Vince Kaichan (VK): Hi, I’m Vincent Chang, aka Vince Kaichan (formerly known as VCMG). I like old, obsolete things and have been making various kinds of music with those old, obsolete things since around 2010. SML: You studied in Japan from July to early December in 2015. Why did you decide to go to Japan in order to study abroad? Also, could you tell us what the five months brought to you? VK: I decided to study abroad in Japan because I had already been studying Japanese by myself for around 3 years, and I saw it as an opportunity to ‘prove’ myself after those 3 years of hard work and effort. I actually started learning Japanese because I felt really embarrassed that I couldn’t (and still can’t) speak Chinese even though I’m Chinese-American due to bad experiences when I was young, so coming to Japan had some very personal motivation behind it. In those five months I was really able to make lots of cool friends as well as try out a new style with my music. Although I’d already planned on going to some chipmusic events while I was there, it was Kabakism-san’s invitation to perform at Lo-Bit Freedom that really introduced me to Japan’s chipscene. Thanks to his invitation, I was able to go to and participate in a lot more chipmusic events while I was there than I expected. The beautiful urban scenery of the Greater Tokyo Area also inspired me to write music that felt much more personal than before. 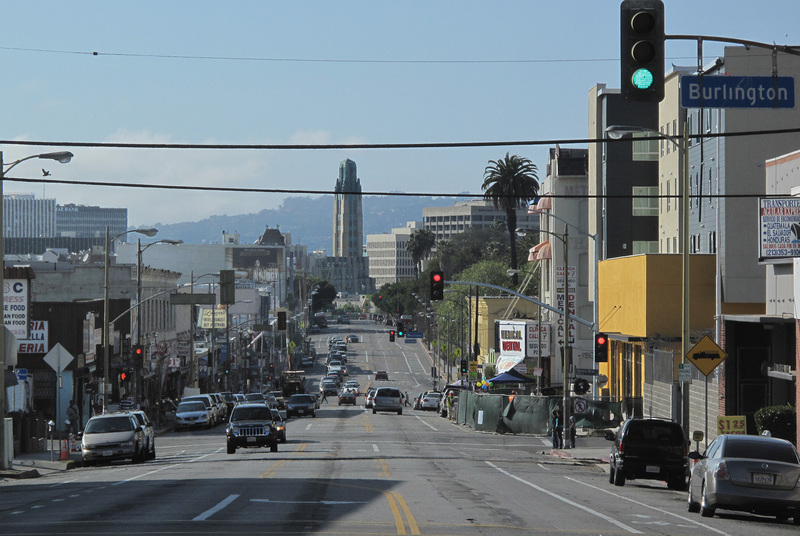 Being able to walk among the dense sprawl of low-rise and high-rise buildings every day was both exciting and emotional, especially coming from Los Angeles, a very spread-out city. SML: When and how did you know chipmusic in on-line and real life, respectively? What kind of context were you interested in the most when getting into the chip scene, e.g. 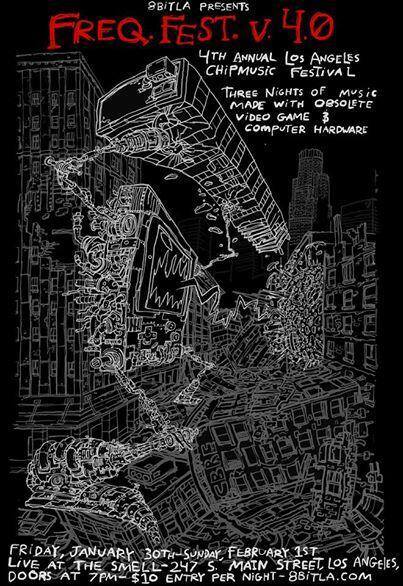 game, tool, DIY, the demoscene, etc? VK: I don’t remember exactly how I first discovered chipmusic, but around the 7th grade I stumbled upon Anamanaguchi and Crystal Castles on YouTube at around the same time. I heard some tracks that Anamanaguchi were making for the soundtrack to Scott Pilgrim vs. the World: the Video Game, and I think I found Crystal Castles from an article somewhere. I kept searching around for more of this cool music until in the 8th grade I found little-scale’s videos of his (very old!) Gameboy songs, and once I found out I could make this kind of music too I bought a flash cartridge and started writing with LSDJ on a Gameboy Color. As someone who didn’t actually start playing video games until the Nintendo Wii came out, I don’t have the same feelings of nostalgia that a lot of other chipmusicians do. I think I was initially most interested about the limitations that LSDJ and the Gameboy had; I had tried to write music occasionally before with tools like GarageBand and Sibelius, but had always gotten frustrated because the programs were too complex and open-ended for me to understand at the time. The 4-note-polyphony and limited timbre possibilities of LSDJ let me really focus on just making music and practicing my skills so that I could work my way up to more complex techniques. SML: You are from Irvine, California. Have you met other musicians, developers, and fans connected to chipmusic, and have you been to chipmusic parties in the West Coast? VK: Actually, I grew up in Simi Valley, California, but I go to university in Irvine. When I was in Simi Valley, I only ever met one other chip artist, and he stopped making chipmusic and ended up giving all his gear to me only a few months after we met. I heard somewhere that 8 Bit Weapon might originally be from Simi Valley, though. I’ve been to a small number of chipshows in the West Coast, although distance and lack of a car make it difficult for me to attend more. The main shows I’ve been to are Frequency Festival and Hack the Planet, both in Los Angeles. SML: Do you think there are specific differences between the West Coast and the East Coast in the chip scene? VK: I’ve only really experienced the chipscene around Los Angeles so I can’t say for sure, but I do feel that the East Coast scene in particular feels very established compared to the more DIY feel of the LA scene. There was of course Blip Festival for a long time, and even today there are many smaller groups that put on regular shows like 8static throughout the year. I would compare it to the Tokyo chip scene, since I think they have similar levels of activity. Around LA, it often feels like there’s really only one group of people organizing chip/lo-fi shows regularly, and while attendance at those shows seems to be increasing lately I haven’t really heard of very shows that weren’t organized by them. I haven’t participated in the live scene for very long though, so I could be wrong. SML: I hear you had learned the violin for about 11 years since you were an elementary school student. Do you think the experience has affected writing chipmusic using music trackers on a Gameboy or a laptop? It is not uncommon chip musicians played one or more than one instruments before getting to chipmusic; Joris de Man aka Scavenger, a famous musician in the Atari ST scene, also played the violin at six like you. VK: Studying violin and other musical instruments for a long time definitely shaped my style, although I’m not sure exactly how much. I think the most important thing I got from those instruments was learning how to put expression into a melody using things like vibrato, dynamics, legato and so on, as well as basic music theory and structure. I know that the way I used vibrato in melodies for a while was based off of how I learned to use vibrato with the violin. It was very helpful to already have a basic intuitive sense of these elements when I started writing music seriously, since I could focus more on developing my songwriting and arrangement skills. SML: It seems the latest two releases from Cheapbeats – Power Tricks and Sunday Groove – present a marked contrast. Roughly speaking, the former thoroughly shows your pop side, namely, it is danceable, more aggressive, and uplifting; the latter clearly shows your recent ethos, namely, it is jazzy, moody, and mo’ funky. How did your musical backgrounds work in the both? VK: If I had to say, I think Power Tricks reflects more of my older influences. For a few years I listened exclusively to classic rock and progressive rock, and that’s where a lot of influence came from in those tracks. Of course, I also drew lots of inspiration from various types of electronic music, but I deliberately wrote in a more straightforward, harder style to contrast with the jazziness and mood of Sunday Groove. 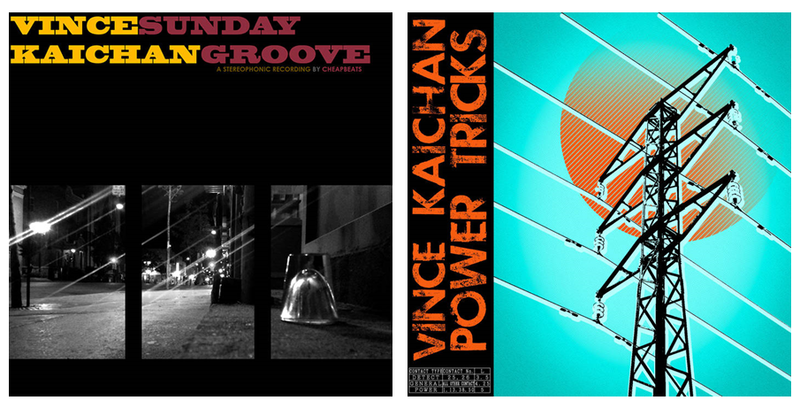 Sunday Groove’s style was a reflection of me getting more interested in jazz and more laid-back genres of music. I’m not usually a very energetic person, and this was the first time that I felt confident enough to try and express that through music. 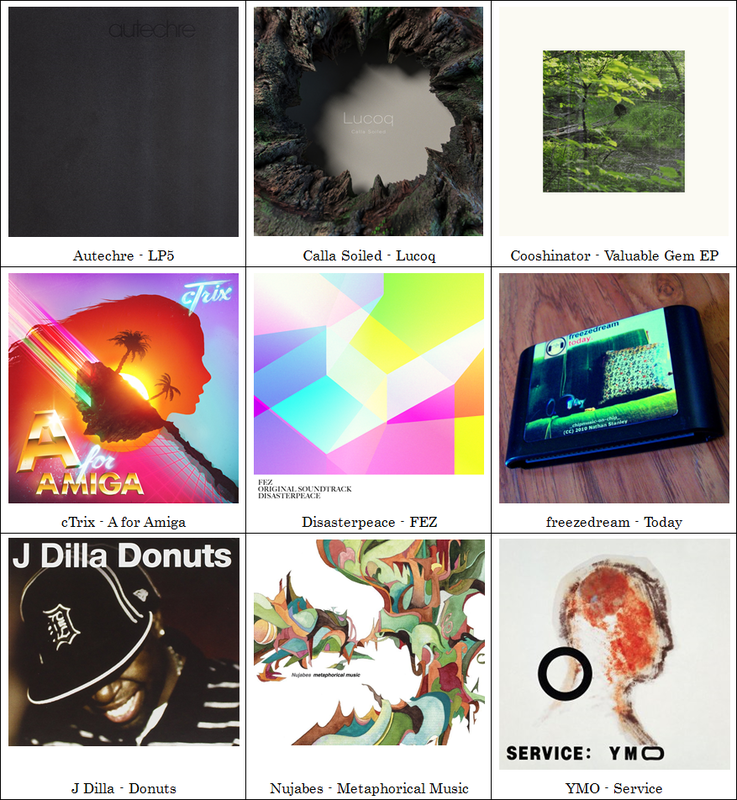 I enjoy music laying back with headphones, and this album’s style is supposed to reflect that sort of relaxed feeling. SML: You began to release your chiptunes in 2011 and then two EPs – Semi-Picturesque and Focal Point – were released from Pxl-Bot, a netlabel founded by Andrew Kilpatrick and Alex Kelly, in the same year. After that, you have been related to their other projects such as The Waveform Generators and Weekly Treats. How did you become acquainted with them? Also, as a distributor and a curator, what kind of persons is Andrew? 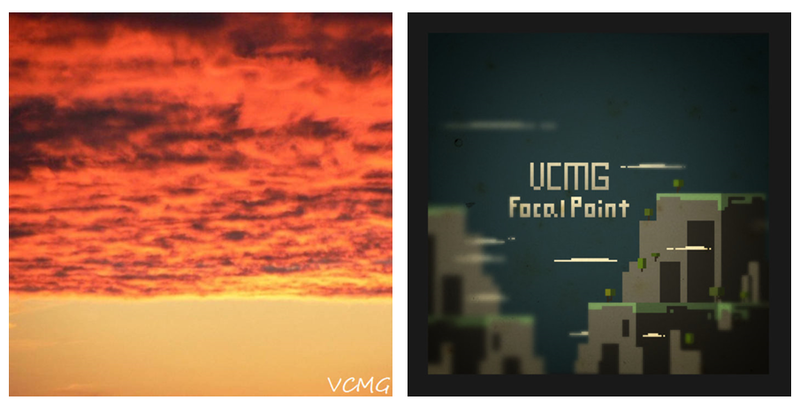 VK: I released those two EPs in the time before Bandcamp became really popular among chipartists, so many people (including myself) believed that finding a netlabel to release with was essential to being noticed on the internet. 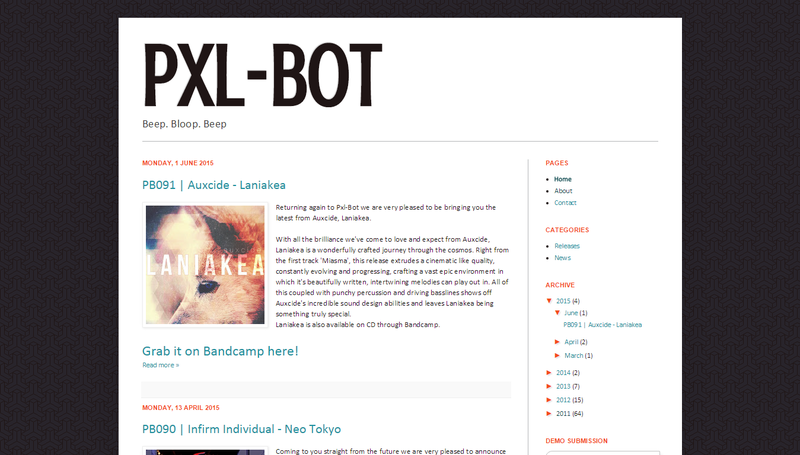 I had been searching around for netlabels who were looking for music similar to mine, and I finally settled on Pxl-Bot and sent them a demo. 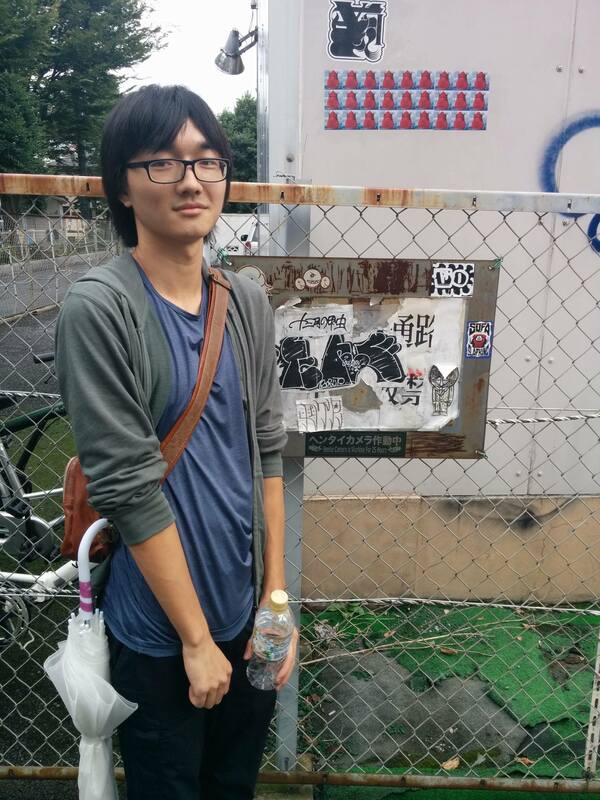 After that we kept in contact, so when he did other chiptune projects he invited me to them. Andrew is someone that I think the chipscene sorely needs more of. Any internet-based music scene can be very hard to follow or keep track of, so having someone who was dedicated to actively seeking out great chipmusic both known and unknown and sharing it with everyone was a very precious thing, and I hope that there will be more people like him in the future. SML: A few of your tracks (“Midnight Snowflake”, “Iskloo Dandruff (Morningstar Express)”, and “In The Stars”) have been released from Chiptunes = Win since 2012. You have contributed your music for some collectives related to chipmusic. What kind of meaning do you think that has? In other words – you have released your own music collections from some labels, and besides, contributed your tracks to some compilation albums from chipmusic collectives such as Chiptunes = WIN, μCollective, and Chip for Cancer. What is special meanings of participating in such activity (I point the latter)? VK: I guess it could show how the chipmusic scene has slowly grown more open about what can be considered chipmusic, since my first contribution was the only one that was purely using actual computer sound chips. Especially with the Chiptunes = WIN compilations, there is a large variety of styles, and I think it shows the growing idea of chipmusic as a philosophy in addition to a sound palette. SML: Sometimes you refer to products from the demoscene not limited to music. What legacies do you inherit from it? In my opinion, On Thin Air, an EP made with SunVox released in 2012, was an epoch release which makes me feel vibrant influences of FastTracker 2-like chipmusic in the demoscene. VK: The demoscene ethos of finding different ways of using the same tool is definitely something that I aspire towards. One of my goals in any project I do nowadays is to do something different, even if it’s only slightly so; this is what led to me trying out latin Gameboy music with Yolanda, as well as the other jazz and hiphop-inspired work I’ve done lately. Although I am not nearly good enough at programming to actively participate in it, the demoscene is definitely something I look to for inspiration. SML: In the interview article conducted by The Waveform Generators, you mentioned “Bluesight” by Nonfinite as a crucial song when you wrote chiptune. What do you think you have developed your own styles of making music from his music? VK: “Bluesight” influenced me in so many ways, but some of the biggest ones were my approaches to melody, channel economy, percussion, and general music style. LSDJ and the Gameboy are naturally suited towards dance music, so hearing someone write a song in a very relaxed, slow-paced, un-dance-like style was very interesting, and encouraged me to try experimenting in less-prevalent styles of Gameboy music. He also uses a fair amount of dynamics in the song, which is something that many people tend to gloss over in their music. I was also amazed at how Nonfinite was able to have 5 different elements (melody, harmony, bassline, kick drum, percussion) even though the Gameboy only has 4 channels. Once I figured out how he put the kick drum and bassline on the same channel and created the illusion of a continuous bassline, I started to understand how to create full-sounding arrangements with one Gameboy and tricks like that. This aspect is a little difficult to explain, but the melodies in “Bluesight” also had a big influence on me, and for a long time I was half-copying his style in a lot of my early Gameboy work. Finally, the snare drum in “Bluesight” also showed me how layering sounds over each other could create even better sounds. It took me some time to figure out how to incorporate this into my music, but it’s what allowed me to get the strong timbres I used in Power Tricks. SML: It can be said that Sunday Groove is the release which preserves influences from the demoscene music the most so far in your releases. At the same time, as far as I know, I think it is not slimier to past releases from the demoscene. It makes me feel breath of American music – coda’s music also reminds me the impression. How have you breathed American music in a broad sense? VK: From a very young age I had always liked music of (almost) all kinds, so with the US being such a cultural center I’ve been exposed to many different types of American music. My father grew up around a lot of American folk and country music and shared it with me from a young age, so that was some of the earliest music I ever listened to. Maybe listening to that type of music from a very young age had some effect on me. 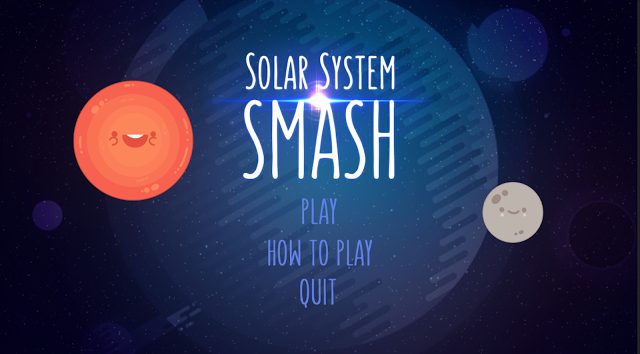 SML: You have also written music for some (unfinished) games such as Solar System Smash and KingSlash. Are you interested in developing games? VK: I am definitely interested in developing games, but it’s not a priority for me. If an opportunity to develop games for a living come, I would definitely consider taking it, but I am also satisfied with other types of software development, since game development can be a very stressful field at times. SML: You mainly used LSDj, SunVox, OpenMPT, and SID-Wizard. Could you tell us their respective impressions and advantages? 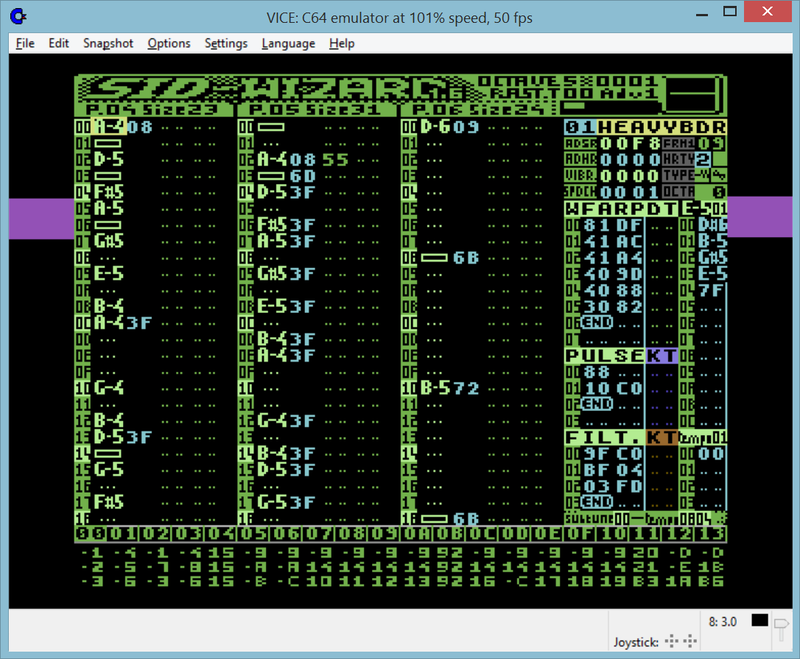 VK: LSDJ’s main strength is its simplicity and portability. LSDJ and the Gameboy are some of the less-complex platforms and tools in chipmusic, and the rawness of the Gameboy’s sound makes it easy to get powerful, impressive sounds. Added to the fact that the Gameboy is very portable, I think LSDJ is a great tool for any chip artist. The only downside is that its limitedness makes it difficult to create certain genres of music, and songs can sound samey because of the limited timbres. SunVox’s strength is its intuitive synthesis patch bay. It’s a very graphical system and you can understand how sounds are built up through different sound generators and effects at a glance. For someone like me who didn’t know much about synthesis or sound processing at the time, it was very helpful to be able to see how different parts came together to create a certain sound. 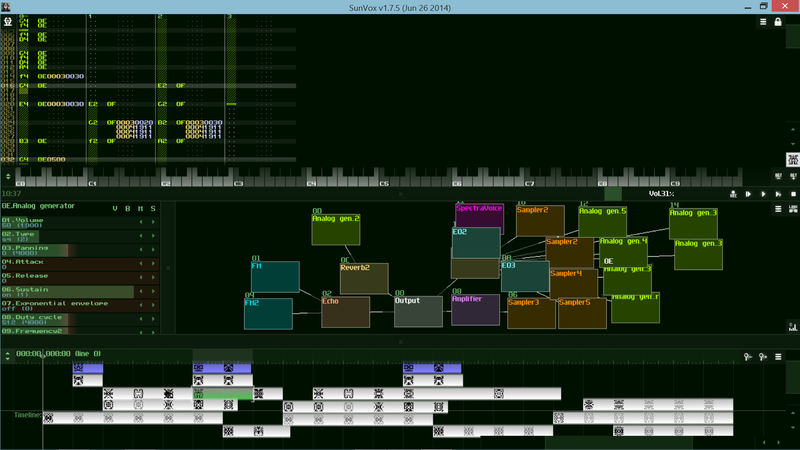 The only thing about SunVox is that the tracker/sequencer parts of the program feel a little unpolished to me, especially compared to the classic DOS trackers and OpenMPT. It’s mostly personal preference, though. 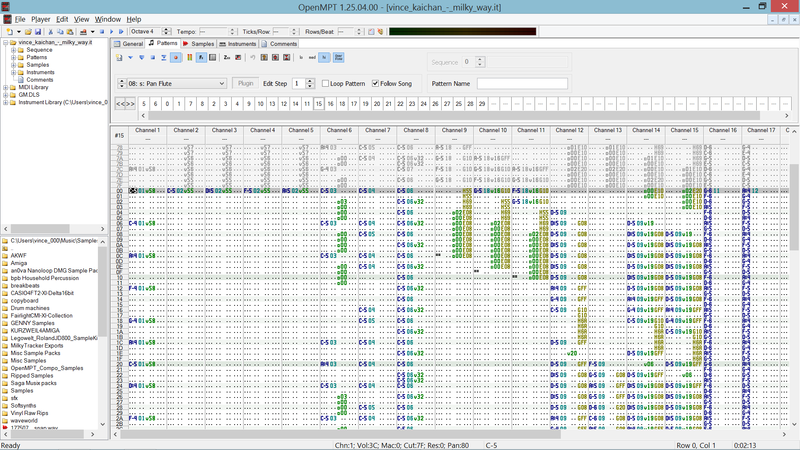 OpenMPT has many very helpful module editing functions, which help eliminate some of the tedium that comes with using trackers. Its native Windows user interface also alleviates some of the annoyances I have with DOS/keyboard-based trackers, such as only being able to see 5-8 channels on screen at once, and allows the best parts of both keyboard and mouse. Overall, it’s my preferred module editor because of its versatility and power. The only thing is that it’s not as [is] suited for things other than sample-based tracking; although there is VST support, I find it a little clunky to use. Finally, although I don’t have as much experience with C64 tracking as I do with other platforms, I think SID-Wizard is a very easy-to-use C64 tracker. Its FastTracker 2-ish approach to showing information onscreen makes things easy to understand, and the only real hurdle I have is understanding how the SID chip itself works. The chip is temperamental and has a fair number of idiosyncrasies that can take some time to learn. SML: Considering the cover arts and track names of your releases, I think your music is often affected by (images of) natural phenomena, landscapes, and the universe. How have you decided them? VK: Naming things is actually the hardest part of making music for me. Many of my tracks start with a small, abstract musical idea instead of a concrete thought or image, so trying to find words and images that match the feeling I was conveying in the music can be very difficult. I use song titles to give a hint towards the mood I wanted to create. SML: You are a fan of mecha (robot) anime such as Mobile Police PATLABOR and science fiction, right? Please tell us why they attract you. Also, are you inspired from them when writing music? VK: I was exposed to technology from a very young age by my parents, and one of my earliest interests besides music was astronomy, so I think I’m just naturally drawn towards things that seem futuristic. Seeing what people think technology will be able to do in the future is very interesting to me. I don’t think I take direct inspiration from mecha in my music very often, but I do really like the theme songs from 80s and 90s shows such as Patlabor. The earnestness of the lyrics and cheesy, dated synthesizer sounds evoke fuzzy feelings of perseverance and determination in the face of obstacles that for some reason resonate with me more than songs with contemporary sound design. 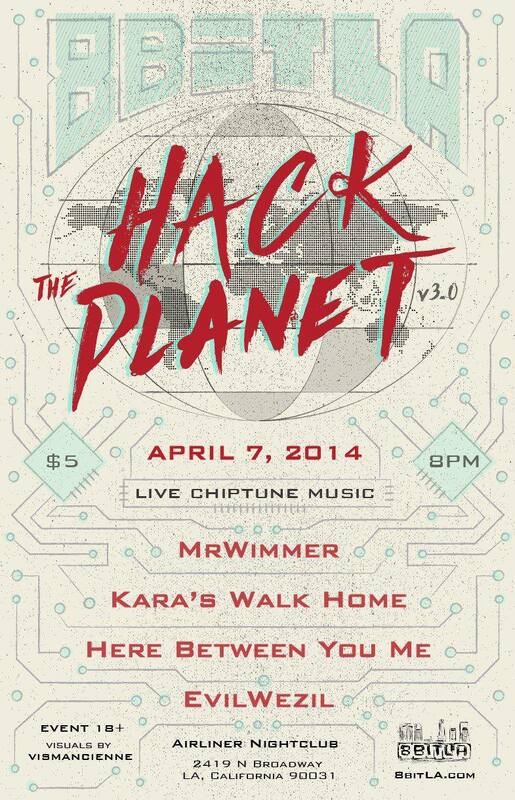 SML: You performed at a webshow associated with Frostbyte’s new release with Cheapshot, Roboctopus, and others in 2012. How was the webshow? Also please tell us the details of your appearance. VK: I think this was the first time I’d ever played any of my songs ‘live’ in any way, so I was extremely nervous about stage presence and not having anything to do except pressing the Start button. Apparently people liked the music I played so I guess it wasn’t all bad, but if I had another chance I would definitely redo my set in a different way. SML: You have used music trackers. It is difficult to use trackers in their own when you perform in front of an audience. And the structure of your music is complex to interfere with or play around in real-time. However, what is possible? In other words, how do you want to be unique as a performer? VK: I’ve actually been working on a different live approach lately, and I hope to debut it in mid-January. Basically, my music is more suited to a live band than a DJ mixing performance, so I feel that the best way to perform is to actually play an instrument along to the song. In the setup I’m creating right now I basically take away elements of the song so that I can play them myself on a keyboard. In the future I hope to expand on that and introduce new soloistic sections to songs so that the songs I perform are unique from the versions that appear on my releases. SML: What do you think how the hacker culture is related to chipmusic? VK: I think the ideas behind chipmusic are connected to hacker culture in the spirit of finding unintended uses for things, although maybe chipmusic doesn’t have quite the same destructive side as hacker culture can. I am not very involved in hacker culture, however, so I don’t know all the facets that make it up. SML: You have observed and belonged to some chip communities in on-line. Not all continue to exist today – especially, I recall 8 Bit Collective (8bc). Can you please tell us a few memorable remarks or jokes among them? VK: I joined 8bc in 2010, only about a year before it began to fall apart, so unfortunately most of the events I can remember are the various fiascos and witch hunts that happened once in a while, such as when someone was caught pretending to perform other people’s songs by playing them from an iPod and dancing around with a Gameboy with no cartridge inserted. The whole story on how 8bc eventually disappeared is also pretty interesting but probably too long for this question. I guess the most memorable thing to me was that the very last song to be uploaded to 8bc before it vanished completely was a cover of Daft Punk’s “Da Funk”. The upload function and all the music players on the site had already been broken for a while, so no one could upload or listen to anything on the site, and this single track sat at the very top of the Recent Uploads list on the front page for weeks as everyone tried to make sense of what was happening. Many people saw it as an ignominious thing to end 8bc with. SML: What will become important in the chip scene? 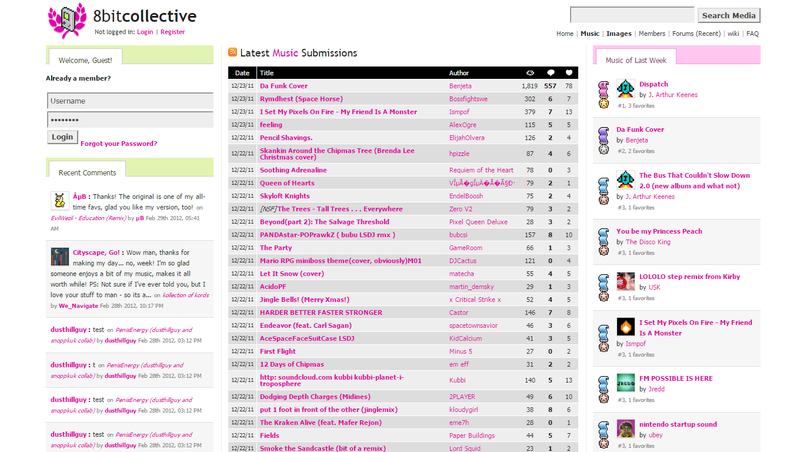 For example, archiving and critiques. VK: I think archiving and curation will definitely become important as more and more people go in and out of the scene, especially with how decentralized the online scene has become after 8bc disappeared. There’s tons of great unknown chipmusic out there that may never be seen by anyone because the internet is so vast. SML: Chipmusic has been stimulated by various types of dance music and chipmusic parties are often oriented toward dance music. But to imagine a non-dance music party should not megalomania. What new type of party do you imagine? Also, who would you like to invite there? VK: I would love to see someone put together a show that is basically just a big hangout. Instead of a dancefloor there would be lots of comfy chairs and sofas for everyone to sit and relax while listening to interesting music, like the chiptune equivalent of a jazz bar. Looking through my chipmusic library, a few artists I’d love to invite to such a party would be: aviel, hizmi, freezedream, Jellica, little-scale, Poke-1,170, Simeon Smith, Zan-zan-zawa-veia, Rico Zerone and others. Of course, some of these artists do other styles besides low-energy chiptune, but anyone who makes music that is too relaxing to jump up and down to would be welcome to perform. SML: Please introduce chip musicians, developers, or contributors who you respect and trust. 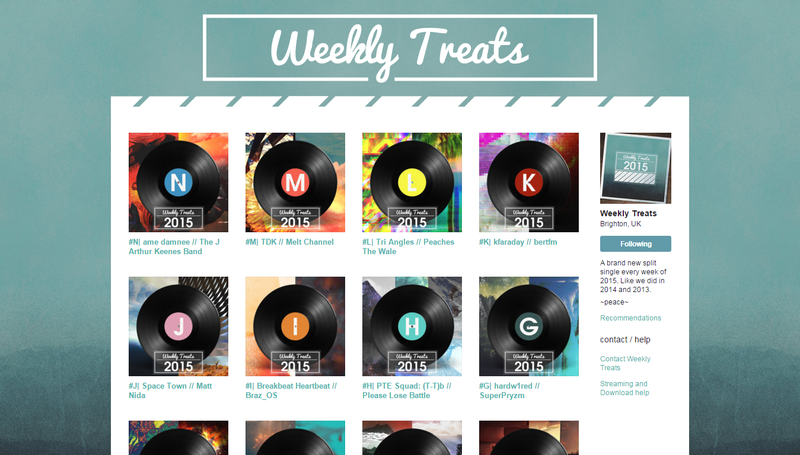 VK: Andrew Kilpatrick’s curation work through Weekly Treats is great, and I’m sad that the project has ended. I hope that someone else will take up similar projects in the future. cTrix is someone I hugely respect because not only does his music sound so vibrant, alive and effortless, but he also has worked on so many different chipmusic platforms, even creating his own tools. Nighthawk is a module artist from the late 90s/early 2000s who does great work with FastTracker 2, and his mods have influenced my modmusic work a whole lot. Apparently he’s also the developer for the NEStopia emulator. SML: What do you define yourself as? For example, a chip musician, a tracker musician, an electronic musician, a composer, or something else? VK: I just call myself an electronic musician who likes lo-fi sounds nowadays because some of the music I write nowadays has a very tenuous relationship to chipmusic. A lot of chipartists I know have also been going the same way in that they start to branch out from pure chipmusic and start incorporating its elements into other types of music. SML: Finally, please tell us some projects you work on or want to challenge, if possible. VK Right now I’m preparing a live set for a performance next month, as well as working on another OpenMPT song collection. After I finish that, I’d love to mess around with other chipmusic platforms like the SNES and MSX as well as do more work with the C64. Vince Kaichan randomly selected his favorites. 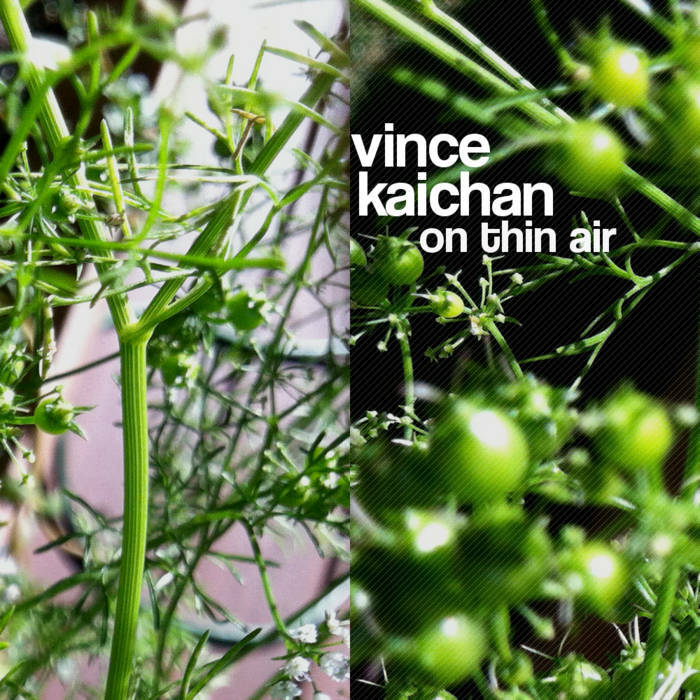 It is easy to access any album and other songs as well by Vince Kaichan, but I selected a playlist composed of 11 tracks from his SoundClound account. Upon considering the music order, I deliberately rearranged them so that their date of creation and used tool were uneven. But because of it, you could realize his underlying tough capacity to compose and arrange music. 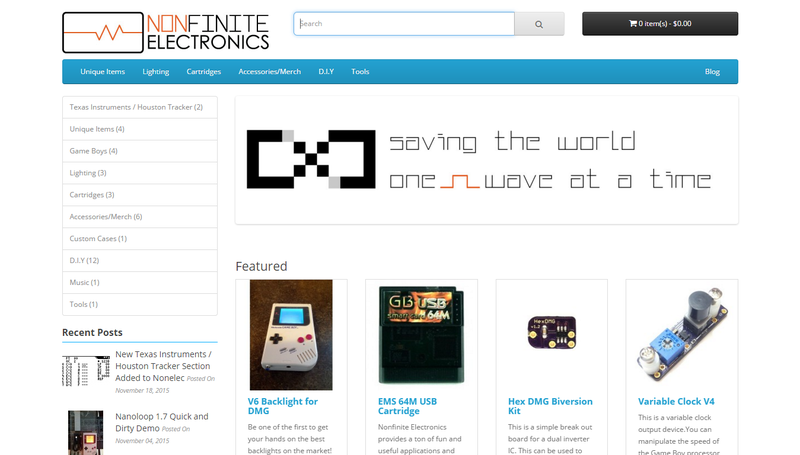 8bitcollective as of 29 February 2012. * Some pictures in the article by courtesy of Vince Chang.